You'll be £10.39 closer to your next £10.00 credit when you purchase The Red Baron. What's this? Manfred von Richthofen - the Red Baron - was the most celebrated fighter pilot of the First World War, and was holder of the Blue Max, Pour le Mérite, Germany's highest military decoration. He was credited with 80 victories in the air, before being shot down in disputed circumstances aged 26. In this autobiography Richthofen tells not only his own story but also that of his contemporaries, their duels in the sky, ever present danger, fame, honour and spiralling death. This book is probably not a classic in the true sense of the term; it has not the depth for that, but it is well worth a read and it does give some sense of the human being behind the legend. It certainly deserves to be re-issued. 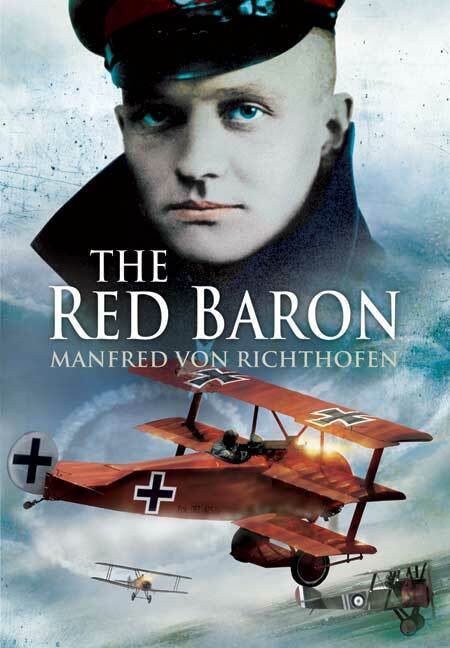 Manfred von Richthofen – the Red Baron – was the most celebrated fighter pilot of the First World War, and was holder of the Blue Max, Pour le Mérite, Germany's highest military decoration. He was credited with 80 victories in the air, before being shot down in disputed circumstances aged 26. In this autobiography Richthofen tells not only his own story but also that of his contemporaries, their duels in the sky, ever present danger, fame, honour and spiralling death.